Brace yourselves. The quad cores are coming. 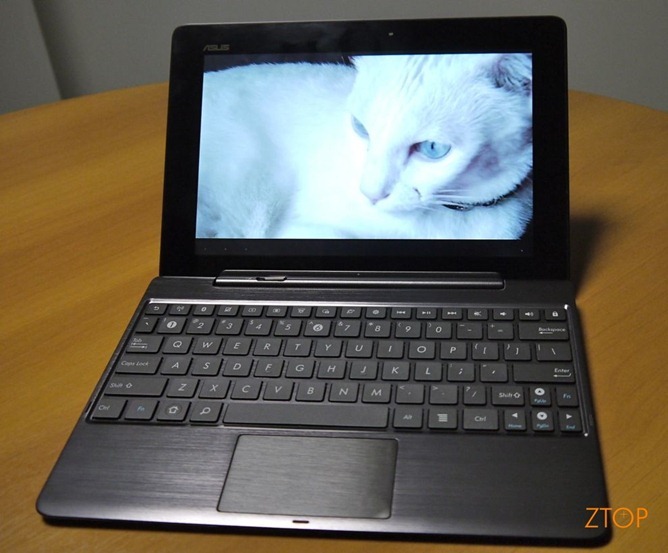 Some lucky person got their hands on an Asus Transformer Prime, with a real life Nvidia Tegra 3 inside. For those who haven't heard, the Transformer is kind of a big deal. It's Asus' 2nd gen tablet/laptop hybrid (the base disconnects), and it looks to be the first ever Android device with a quad core processor. The T-Prime, doing what all internet connected devices were meant to do: display pictures of cats. Naturally, the state of the art processor means this is a blazing fast device. The reviewer says the sound is pretty good too. It's also super thin. The tablet half can hold it's own against a Motorola RAZR. The site is Brazilian, so English speakers should expect the usual Google Translate "English." It's still worth checking out for the pictures and video. It's still kind of hard to believe quad cores are going to arrive this quickly.